What Can the Vbeam Perfecta Treat? Vbeam Perfecta is the best-selling system and considered the gold standard in pulsed-dye lasers for many reasons. Beyond its high safety rating and ease of use, the Vbeam provides improved comfort and minimal side effects for patients. The VBeam uses a unique epidermal cooling system, which sprays a cool mist onto the skin before each laser pulse. As a pulsed-dye laser, it delivers an intense, yet gentle, burst of light into the targeted areas of your skin. The blood vessels or pigmented areas will absorb this light and create an improved appearance. Although there is a very low incidence of side effects, some patients may bruise slightly at the site of treatment or experience mild redness and swelling. If any side effects are experienced, they should subside quickly. Dr. Talei is proud to offer such a revolutionary aesthetic treatment option that also respects patient comfort and recovery. 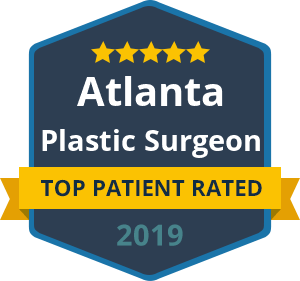 Not only do our patients receive the most revolutionary technology in laser cosmetic surgery, but they are also treated by a plastic surgeon with unsurpassed expertise in this field. Dr. Talei has dual fellowship training in facial cosmetic and reconstructive surgery and vascular birthmarks and congenital anomalies with laser surgery. As with all of our services, we develop a personalized treatment plan for each patient, one that helps them best achieve their ideal goals at the level of comfort they desire. To learn more about the benefits of Vbeam Perfecta Laser treatments or to find out if you are a candidate, please contact our office today to schedule your consultation. We will carefully explain the details of your procedure, including how to prepare for your treatment and how long your session should last.